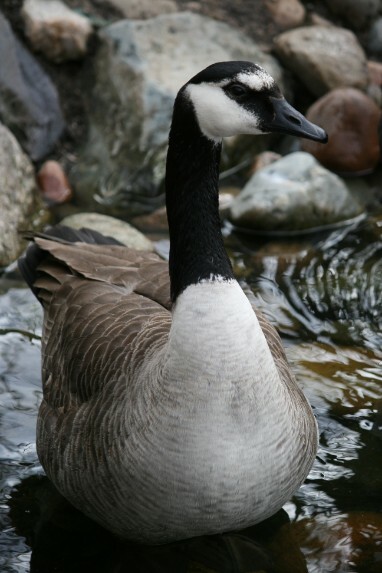 Emperor Geese are native to Alaska and are one of the most beautiful geese. These geese are very calm and normally not aggressive outside of a nesting time. 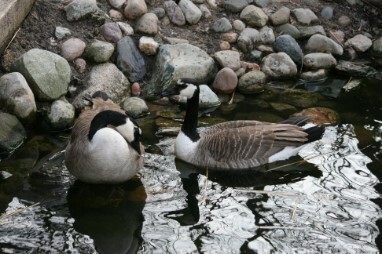 They do very well in single pair breedings and can be housed with other goose species and ducks. They normally lay 4-6 eggs and incubate them for 24 days. They like to nest in natural ground cover such as under shrubs or in ground nest boxes. These geese are great in an mixed collection. Red Breasted Geese are one of the smallest and most beautiful geese and can be found in Russia. They can be one of the hardest breeds to raise in captivity we have found they do much better in a small flock then if they were in single pairs. We raise them in an aviary that we put pans of water out for them through out the aviary so each pair can pick a nest site and a pan of water. They normally lay 5-7 eggs that will incubate for about 23 days before hatching. Cacklers are native to North America. They are found in Alaska and migrate to California. They are the smallest of the Canada species.They nest in natural ground cover and in ground boxes. They lay 5-6 eggs and are incubated for 26 days. Barnacles are native Europe. They are very similar to the Cacklers. They nest in natural ground cover and in ground boxes. They lay 5-6 eggs and are incubated for 25 days. Giant Canadas are native to North America. They are the largest of the Canada species. They nest in natural cover and in nest structures. They lay 5-7 eggs and are incubated for 30 -32 days. Magellans are native to South America. They nest in natural ground cover and in nest structures. They lay 4-6 eggs and are incubated for 24-26 days.